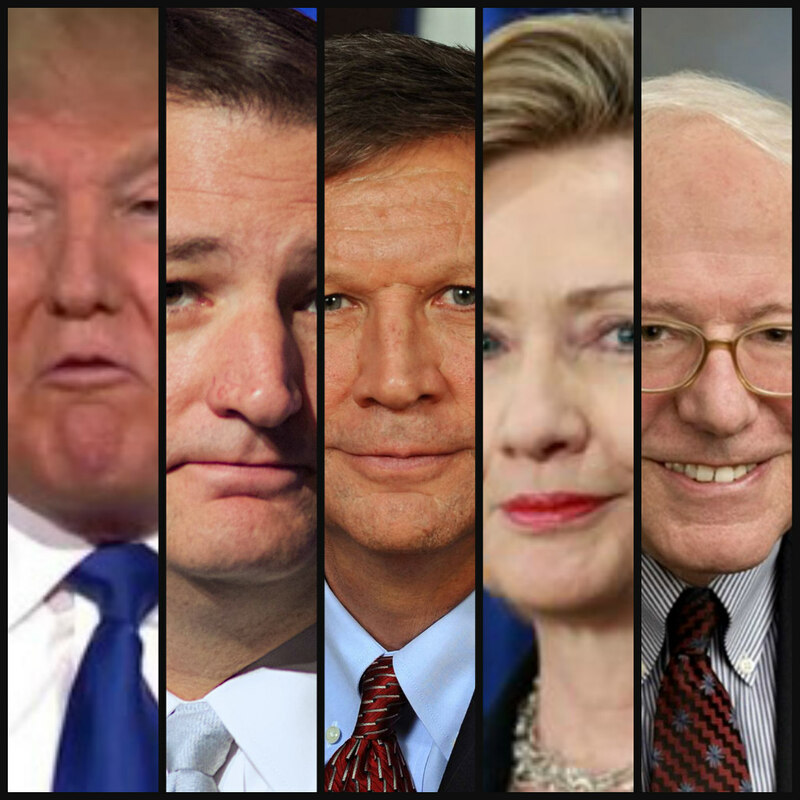 CaptainKudzu: You'll never guess which candidate polls best on the economy! You'll never guess which candidate polls best on the economy! The results are in on a new Gallup poll that checks the opinions of potential American voters on the economic prospects of presidential candidates. The results will be shocking to many political observers and activists. Few readers will guess which candidate ranked as most trusted on the economy. The poll of 1,015 adults who are potential voters had a margin of error of four percentage points and tested how the respondents viewed the five remaining candidates for president. The benchmark against which the candidates were measured was another recent Gallup poll which found that 50 percent still had a “great deal” or a “fair amount” of confidence in President Obama’s economic leadership. None of the 2016 candidates beat President Obama. Shockingly, the candidate who scored best on the economy was none other than avowed socialist Bernie Sanders. Forty-seven percent had a “great deal” or a “fair amount” of confidence in the Vermont senator. The top three candidates were in a statistical tie with John Kasich at 46 percent and Hillary Clinton at 43 percent. The poll is another reminder that Sanders could mount a very formidable campaign and that conservatives should take him seriously. The pair of Republican frontrunners finished a distant fourth and fifth. Ted Cruz had the confidence of 35 percent. Donald Trump was trusted by only 30 percent. John Kasich was the only one of the five with a net positive confidence rating. Kasich’s 46 percent confidence was greater than the 43 percent who had “only a little” or “almost no confidence” in him, giving him a net confidence rating of 3 percent. Barack Obama’s net rating was two percent due to the 48 percent with little or no confidence in his economic policy. Every other candidate had a negative rating. Forty-nine percent had little or no confidence in Sanders for a net of -2 percent. Clinton’s net was -13 percent (43/56). Ted Cruz scored a -25 (35/60). As with overall approval ratings, the big loser was Donald Trump with lowest confidence score and the highest score of little or no confidence. Trump’s net rating was an abysmal -38 (30/68). The poll does offer a glimmer of hope for Republicans. In the breakdown by party ideology, Sanders and Kasich also lead among independents by 46 and 43 percent respectively. Neither Sanders nor Kasich is likely to be the eventual nominee however. Hillary Clinton, the likely Democratic nominee, fares much more poorly among independents (35 percent) than she does among voters overall. On the other hand, Cruz and Trump do almost as well among independents as they do among the general electorate (32 and 30 percent respectively). The Republican candidate will have to do well with moderates and independents to beat Mrs. Clinton and these numbers indicate a weakness for her on the economy with these voters. Another recent Gallup poll indicates that almost 40 percent of voters rate the economy as the most important problem facing the country. With voter trust between Cruz, Trump and Clinton essentially tied on handling of the economy, it may give the Republican candidate a chance to erase Mrs. Clinton’s current lead in the polls. One last takeaway from the poll is the curious fact that, as noted with candidate approval ratings earlier this month, the candidates that are liked most by voters at large are rejected by large numbers of the faithful of both parties. This may be an indication that both parties are moving farther apart and leaving a large number of disaffected voters in the middle who are unhappy with all three frontrunners. This may lead to a low turnout election or provide an opening for a third party. Read it on Conservative Firing Line or Freedom Daily! Can Trump get to 1,237?